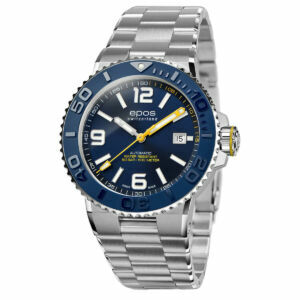 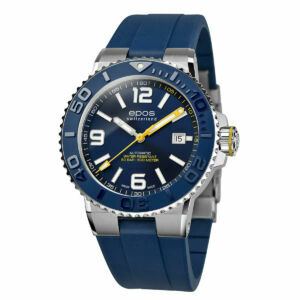 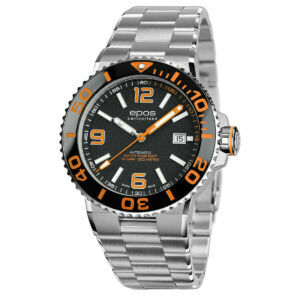 Feature-packed automatic diving watch with ceramic bezel and helium valve. Feature packed premium diver case with 50 ATM water resistance, curved sapphire crystal and helium valve. 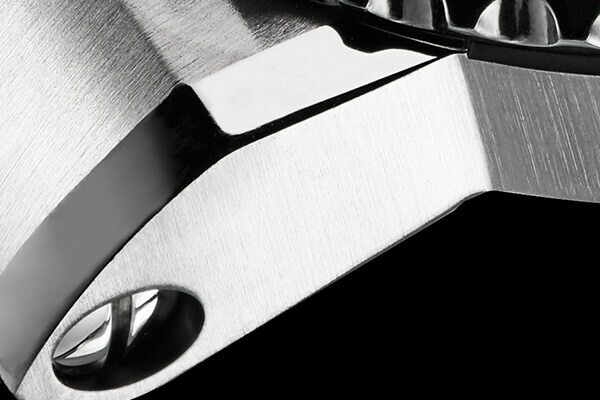 Fine details such as the beveled, polished edges and the strap screws give the sturdy case an even more premium look and feel. 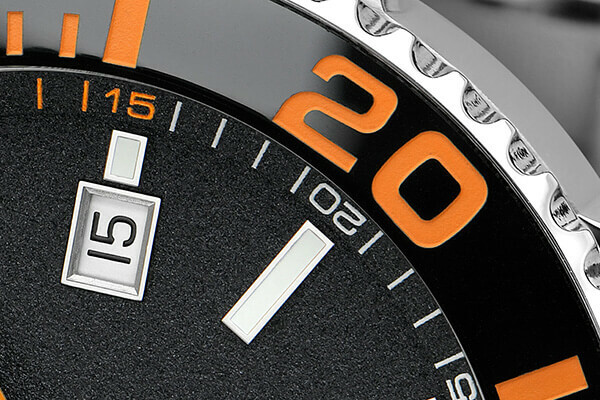 Unidirectional, polished ceramic bezel with engraved and colored numbers. 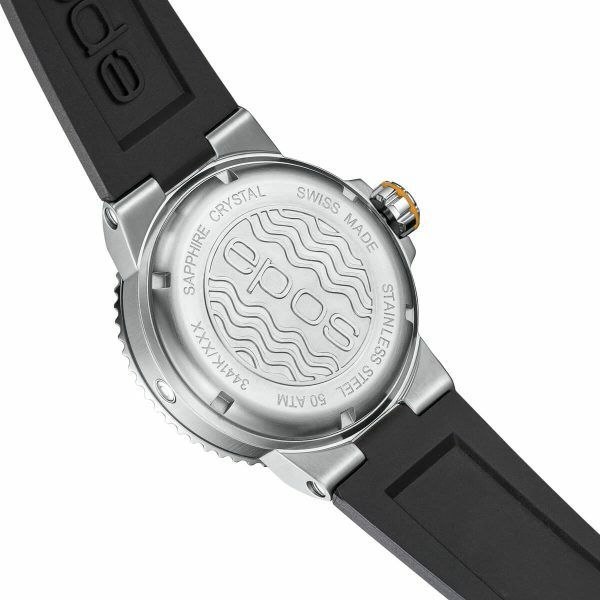 Sandblasted black dial. 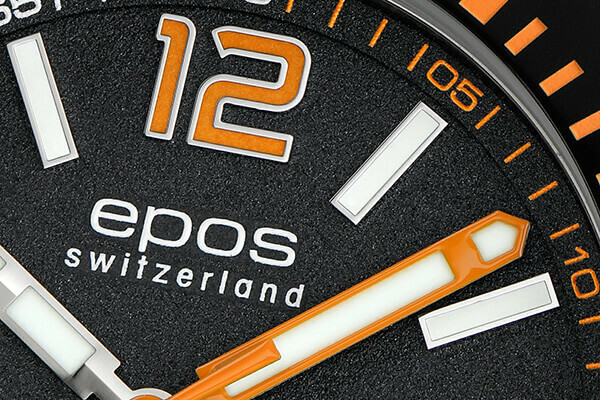 Applied numbers and hour indices with hand-filled orange and white lume for long-lasting glow in the dark.